Jesus claims to be the first, but surely God is the very first? This indicates that Jesus rightfully claims to be God, rather than being someone who confuses innocent Bible readers by apparently taking the role of someone he is not. The son of God, Jesus Christ, was born in flesh by virgin Mary about 2000 years ago, but it was his own prior choice and he had previously pre existed in a former state. Jesus pre existed before he became a man and walked upon the earth. John 10:15 As the Father knoweth me, even so know I the Father: and I lay down my life for the sheep.— 17 Therefore doth my Father love me, because I lay down my life, that I might take it again.18 No man taketh it from me, but I lay it down of myself. I have power to lay it down, and I have power to take it again. This commandment have I received of my Father. Sometimes the trinity is compared with an egg, consisting of the yolk, the white and the shell, where each part could be regarded as God the Father, God the son and God the holy Spirit. The weakness with this illustration is that each part is about 33% of the egg, whereas each person in the trinity (apart from being a separate part of the trinity) is each 100% God and definitely no half-gods. Maybe a better analogy might be one pile of sand split into three piles of sand. Each pile is 100% sand which is the original substance – even though there are even more original substance in existence. It is possible to start with one pile of sand, split it into more piles, and join the pile back together again. Maybe this analogy helps when reading poetic expressions about the son going forth from God which is the original starting point. This does not mean that Jesus started to exist in the moment he took the shape of a human being. Another analogy might be water being split into three puddles, or fire – where you to take a lit candle and lit two more candles with it. Maybe a business company can also help as an illustration. The ONE company might consist of three owners/employees who have mutually decided which role each one of them should have in the company. They might even decide which one of them that should take on the ”greater” role, and be the company’s official frontage. They might start out together on location but decide to let one of them make some business travelling in order to promote the company and get more customers. Another one might be responsible for the administration and the third one might be responsible for practical needs such as food supply and maintenance. We are still talking about ONE company. The below verses are rather self-explanatory. Jesus existed before all things and by him were all things created, both visible and invisible. Is God something? Can he be filed under visible or invisible? Yes, so he could not have existed before Jesus, since Jesus was before all things and was first. If we understand Jesus to be God, however, there are no contradictions. God is eternal and has always existed before all things. Col. 1:13 Who hath delivered us from the power of darkness, and hath translated us into the kingdom of his dear Son:14 In whom we have redemption through his blood, even the forgiveness of sins:15 Who is the image of the invisible God, the firstborn (4416) of every creature:16 For BY HIM were all things created, that are in heaven, and that are in earth, visible and invisible, whether they be thrones, or dominions, or principalities, or powers: all things were created BY HIM, and for him:17 And he is BEFORE all things, and by him all things consist.18 And he is the head of the body, the church: who is the beginning, the firstborn (4416) from the dead; that in all things he might have the preeminence. Is 45:12 I have made the earth, and created man upon it: I, even my hands, have stretched out the heavens, and all their host have I commanded.-— 18 For thus saith the Lord that created the heavens; God himself that formed the earth and made it; he hath established it, he created it not in vain, he formed it to be inhabited: I am the Lord; and there is none else. Daniel 3:25 Lo, I see four men loose, walking in the midst of the fire, and they have no hurt; and the form of the fourth is like the Son of God. John 8:57 Then said the Jews unto him, Thou art not yet fifty years old, and hast thou seen Abraham?58 Jesus said unto them, Verily, verily, I say unto you, Before Abraham was, I am.59 Then took they up stones to cast at him: but Jesus hid himself, and went out of the temple, going through the midst of them, and so passed by. Jesus prayed to his Father and asked him to glorify him (Jesus) with the glory which he had with his Father before the existence of the world. It is interesting that Jahve does not share his glory with anyone, and yet Jesus requests to share his precise glory – which he is granted. The only way to solve this is through the trinity. It is further illogical to love someone if he is only an idea or a plan. John 17:5 And now, O Father, glorify thou me with thine own self with the glory which I had with thee before the world was.— 24 Father, I will that they also, whom thou hast given me, be with me where I am; that they may behold my glory, which thou hast given me: for thou lovedst me before the foundation of the world. John 8:54 Jesus answered, If I honour myself, my honour is nothing: it is my Father that honoureth me; of whom ye say, that he is your God:55 Yet ye have not known him; but I know him: and if I should say, I know him not, I shall be a liar like unto you: but I know him, and keep his saying. Phil 2:5 Let this mind be in you, which was also in Christ Jesus:6 Who, being in the form of God, thought it not robbery to be equal with God:7 But made himself of no reputation, and took upon him the form of a servant, and was made in the likeness of men:8 And being found in fashion as a man, he humbled himself, and became obedient unto death, even the death of the cross.9 Wherefore God also hath highly exalted him, and given him a name which is above every name:10 That at the name of Jesus every knee should bow, of things in heaven, and things in earth, and things under the earth;11 And that every tongue should confess that Jesus Christ is Lord, to the GLORY of God the Father. John 1:1 In the beginning was the Word, and the Word was with God, and the Word was God.2 The same was in the beginning with God.3 All things were made by him; and without him was not any thing made that was made.— 14 And the Word was made flesh, and dwelt among us, (and we beheld his GLORY, the glory as of the only begotten of the Father,) full of grace and truth. Rev. 1:5 And from Jesus Christ, who is the faithful witness, and the first begotten of the dead, and the prince of the kings of the earth. Unto him that loved us, and washed us from our sins in his own blood,6 And hath made us kings and priests unto God and his Father; to him be glory and dominion for ever and ever. Amen.7 Behold, he cometh with clouds; and every eye shall see him, and they also which pierced him: and all kindreds of the earth shall wail because of him. Even so, Amen.8 I am Alpha and Omega, the beginning and the ending, saith the Lord, which is, and which was, and which is to come, THE ALMIGHTY.9 I John, who also am your brother, and companion in tribulation, and in the kingdom and patience of Jesus Christ, was in the isle that is called Patmos, for the word of God, and for the testimony of Jesus Christ.10 I was in the Spirit on the Lord’s day, and heard behind me a great voice, as of a trumpet,11 Saying, I am Alpha and Omega, the first and the last: and, What thou seest, write in a book, and send it unto the seven churches which are in Asia; unto Ephesus, and unto Smyrna, and unto Pergamos, and unto Thyatira, and unto Sardis, and unto Philadelphia, and unto Laodicea.12 And I turned to see the voice that spake with me. And being turned, I saw seven golden candlesticks;13 And in the midst of the seven candlesticks one like unto the Son of man, clothed with a garment down to the foot, and girt about the paps with a golden girdle.14 His head and his hairs were white like wool, as white as snow; and his eyes were as a flame of fire;15 And his feet like unto fine brass, as if they burned in a furnace; and his voice as the sound of many waters.16 And he had in his right hand seven stars: and out of his mouth went a sharp twoedged sword: and his countenance was as the sun shineth in his strength.17 And when I saw him, I fell at his feet as dead. And he laid his right hand upon me, saying unto me, Fear not; I am the first and the last:18 I am he that liveth, and was dead; and, behold, I am alive for evermore, Amen; and have the keys of hell and of death. Isa. 48:10 Behold, I have refined thee, but not with silver; I have chosen thee in the furnace of affliction.11 For mine own sake, even for mine own sake, will I do it: for how should my name be polluted? and I will not give my glory unto another.12 Hearken unto me, O Jacoband Israel, my called; I am he; I am the first, I also am the last.13 Mine hand also hath laid the foundation of the earth, and my right hand hath spanned the heavens: when I call unto them, they stand up together. 1 Cord. 10:1 Moreover, brethren, I would not that ye should be ignorant, how that all our fathers were under the cloud, and all passed through the sea;2 And were all baptized unto Moses in the cloud and in the sea;3 And did all eat the same spiritual meat;4 And did all drink the same spiritual drink: for they drank of that spiritual Rock that followed them: and that Rock was Christ. When it comes to the Angel of the Lord (not a created messenger), you can read this post. The Angel of the Lord communicated with God in heaven, despite calling himself God. Psalms and proverbs mirror the reality, so we must be careful to not automatically understand all poetical expressions and songs as being literal in all details. We can often read about the son being the first-born, only begotten, was brought forth, etc, and they are description of the word that became flesh. Jesus is not the same person as his Father, and Jesus frequently prayed and communicated with his Father – showing they are different persons in the same godhead. God is naturally ONE (a very clear teaching in the Bible and very central teaching for both Jews and Christians), but this one God consists of three persons and dimensions. Rev. 5:6 And I beheld, and, lo, in the midst of the throne and of the four beasts, and in the midst of the elders, stood a Lamb as it had been slain, having seven horns and seven eyes, which are the seven Spirits of God sent forth into all the earth.7 And he came and took the book out of the right hand of him that sat upon the throne. Luke 2:40 And the child grew, and waxed strong in spirit, filled with wisdom: and the grace of God was upon him.— 49 And he said unto them, How is it that ye sought me? wist ye not that I must be about my Father’s business? Jesus made a difference between his Father’s will and his own will. Naturally Jesus came to earth to fulfill a task and he was always willing to do that – until death. If Jesus communicated with himself and asking himself about what was possible, it would be highly confusing. Matt. 26:39 39 And he went a little farther, and fell on his face, and prayed, saying, O my Father, if it be possible, let this cup pass from me: nevertheless not as I will, but as thou wilt. John 4:34 34 Jesus saith unto them, My meat is to do the will of him that sent me, and to finish his work. John 5:30 I can of mine own self do nothing: as I hear, I judge: and my judgment is just; because I seek not mine own will, but the will of the Father which hath sent me.31 If I bear witness of myself, my witness is not true.32 There is another that beareth witness of me; and I know that the witness which he witnesseth of me is true. John 8:13 The Pharisees therefore said unto him, Thou bearest record of thyself; thy record is not true.14 Jesus answered and said unto them, Though I bear record of myself, yet my record is true: for I know whence I came, and whither I go; but ye cannot tell whence I come, and whither I go.15 Ye judge after the flesh; I judge no man.16 And yet if I judge, my judgment is true: for I am not alone, but I and the Father that sent me.17 It is also written in your law, that the testimony of two men is true.18 I am one that bear witness of myself, and the Father that sent me beareth witness of me.19 Then said they unto him, Where is thy Father? Jesus answered, Ye neither know me, nor my Father: if ye had known me, ye should have known my Father also. John 12:26 If any man serve me, let him follow me; and where I am, there shall also my servant be: if any man serve me, him will my Father honour.27 Now is my soul troubled; and what shall I say? Father, save me from this hour: but for this cause came I unto this hour.28 Father, glorify thy name. Then came there a voice from heaven, saying, I have both glorified it, and will glorify it again.29 The people therefore, that stood by, and heard it, said that it thundered: others said, An angel spake to him.30 Jesus answered and said, This voice came not because of me, but for your sakes. Matt 26:53 Thinkest thou that I cannot now pray to my Father, and he shall presently give me more than twelve legions of angels? John 6:37 All that the Father giveth me shall come to me; and him that cometh to me I will in no wise cast out.38 For I came down from heaven, not to do mine own will, but the will of him that sent me.39 And this is the Father’s will which hath sent me, that of all which he hath given me I should lose nothing, but should raise it up again at the last day.40 And this is the will of him that sent me, that every one which seeth the Son, and believeth on him, may have everlasting life: and I will raise him up at the last day. John 8:26 I have many things to say and to judge of you: but he that sent me is true; and I speak to the world those things which I have heard of him.27 They understood not that he spake to them of the Father.28 Then said Jesus unto them, When ye have lifted up the Son of man, then shall ye know that I am he, and that I do nothing of myself; but as my Father hath taught me, I speak these things.29 And he that sent me is with me: the Father hath not left me alone; for I do always those things that please him.—42 Jesus said unto them, If God were your Father, ye would love me: for I proceeded forth and came from God; neither came I of myself, but he sent me. John 11:41 Then they took away the stone from the place where the dead was laid. And Jesus lifted up his eyes, and said, Father, I thank thee that thou hast heard me.42 And I knew that thou hearest me always: but because of the people which stand by I said it, that they may believe that thou hast sent me.43 And when he thus had spoken, he cried with a loud voice, Lazarus, come forth. John 12:49 For I have not spoken of myself; but the Father which sent me, he gave me a commandment, what I should say, and what I should speak.50 And I know that his commandment is life everlasting: whatsoever I speak therefore, even as the Father said unto me, so I speak. 1 Cor. 8: 6 But to us there is but one God, the Father, of whom are all things, and we in him; and one Lord Jesus Christ, by whom are all things, and we by him. Hebr. 1:1 3 Who being the brightness of his glory, and the express image of his person, and upholding all things by the word of his power, when he had by himself purged our sins, sat down on the right hand of the Majesty on high:4 Being made so much better than the angels, as he hath by inheritance obtained a more excellent name than they.5 For unto which of the angels said he at any time, Thou art my Son, this day have I begotten thee? And again, I will be to him a Father, and he shall be to me a Son?6 And again, when he bringeth in the firstbegotten into the world, he saith, And let all the angels of God worship him.7 And of the angels he saith, Who maketh his angels spirits, and his ministers a flame of fire.8 But unto the Son he saith, Thy throne, O God, is for ever and ever: a sceptre of righteousness is the sceptre of thy kingdom. John 14:6 Jesus saith unto him, I am the way, the truth, and the life: no man cometh unto the Father, but by me.7 If ye had known me, ye should have known my Father also: and from henceforth ye know him, and have seen him.8 Philip saith unto him, Lord, show us the Father, and it sufficeth us.9 Jesus saith unto him, Have I been so long time with you, and yet hast thou not known me, Philip? he that hath seen me hath seen the Father; and how sayest thou then, Show us the Father?10 Believest thou not that I am in the Father, and the Father in me? the words that I speak unto you I speak not of myself: but the Father that dwelleth in me, he doeth the works.11 Believe me that I am in the Father, and the Father in me: or else believe me for the very works’ sake.12 Verily, verily, I say unto you, He that believeth on me, the works that I do shall he do also; and greater works than these shall he do; because I go unto my Father.13 And whatsoever ye shall ask in my name, that will I do, that the Father may be glorified in the Son.14 If ye shall ask any thing in my name, I will do it.15 If ye love me, keep my commandments.16 And I will pray the Father, and he shall give you another Comforter, that he may abide with you for ever;— 21 He that hath my commandments, and keepeth them, he it is that loveth me: and he that loveth me shall be loved of my Father, and I will love him, and will manifest myself to him.22 Judas saith unto him, not Iscariot, Lord, how is it that thou wilt manifest thyself unto us, and not unto the world?23 Jesus answered and said unto him, If a man love me, he will keep my words: and my Father will love him, and we will come unto him, and make our abode with him.24 He that loveth me not keepeth not my sayings: and the word which ye hear is not mine, but the Father’s which sent me. — 26 But the Comforter, which is the Holy Ghost, whom the Father will send in my name, he shall teach you all things, and bring all things to your remembrance, whatsoever I have said unto you. — 28 Ye have heard how I said unto you, I go away, and come again unto you. If ye loved me, ye would rejoice, because I said, I go unto the Father: for my Father is greater than I. — 31 But that the world may know that I love the Father; and as the Father gave me commandment, even so I do. Arise, let us go hence. John 17:1 These words spake Jesus, and lifted up his eyes to heaven, and said, Father, the hour is come; glorify thy Son, that thy Son also may glorify thee:— .8 For I have given unto them the words which thou gavest me; and they have received them, and have known surely that I came out from thee, and they have believed that thou didst send me.— 11 And now I am no more in the world, but these are in the world, and I come to thee. Holy Father, keep through thine own name those whom thou hast given me, that they may be one, as we are.1 — 18 As thou hast sent me into the world, even so have I also sent them into the world. — 21 That they all may be one; as thou, Father, art in me, and I in thee, that they also may be one in us: that the world may believe that thou hast sent me.22 And the glory which thou gavest me I have given them; that they may be one, even as we are one:23 I in them, and thou in me, that they may be made perfect in one; and that the world may know that thou hast sent me, and hast loved them, as thou hast loved me.24 Father, I will that they also, whom thou hast given me, be with me where I am; that they may behold my glory, which thou hast given me: for thou lovedst me before the foundation of the world. Alpha and omega, are of course the first and the last letters respectively of the Greek alphabet. The beginning and the end. This applies to our Creator God who is eternal. The Book of Revelation starts out with the words ”The revelation of Jesus Christ”, and the very last things that Jesus says are ”I, JESUS have sent mine angel to testify unto you all these things”. Jesus provides both good advice and warnings from his own heart and also talks about himself as someone who is part of both history and future. We should not be afraid to call Jesus GOD, because God the Father does so himself in Hebr. 1:8 despite that we know from Isaiah that God does not share his glory with anyone. If Jahve calls someone by his own name (God) and declares that angels will come and serve this person, this is divine glorification of the highest degree. If God the Father can call his son GOD, then so can we and the Bible is clear that there is only one true God. The trinity easily resolves this problem, which is not a problem to start with. Both God the Father and Jesus Christ use the names/terms ”I am the first and the last” and ”alpha and omega”. Either Jesus is not God at all and only uses these terms for himself to confuse us and to trick us into worshiping him (much like Satan), OR he really IS God. Only the latter option eliminates Bible contradictions. God is not a liar. If there is no God beside him (at least not a true Creator God), then it would be wrong to suggest that also his son is God (Hebr. 1:8). We can only solve this issue by suggesting that Jesus must be one of many false gods (with other words no god at all), or the trinity is true. The last option is what the Bible teaches. Isa. 48:10 Behold, I have refined thee, but not with silver; I have chosen thee in the furnace of affliction.11 For mine own sake, even for mine own sake, will I do it: for how should my name be polluted? and I will not give my glory unto another.12 Hearken unto me, O Jacob and Israel, my called; I am he; I am the first, I also am the last.13 Mine hand also hath laid the foundation of the earth, and my right hand hath spanned the heavens: when I call unto them, they stand up together. Above we can see Jahve is calling himself the first and the last. He claims to have made the foundation of the earth, but interestingly this applies also for his son Jesus Christ. Jahve will not give his glory to anyone else, and yet we can read ”Phil. 2:9 Wherefore God also hath highly exalted him, and given him a name which is above every name:10 That at the name of Jesus every knee should bow, of things in heaven, and things in earth, and things under the earth”. What glory on behalf of Jesus! There is no doubt that the above concerns Jesus Christ. He is the one was pierced for us and he is the one who washed us from our sins in his own blood. He is the one who was dead (not his Father), he is the one who looks like a son of man and he is the one we can expect to see returning in the clouds on Judgment Day. This means that he is also the alpha and omega which the text is talking about. This is a term which applies to God alone. Rev 21:5 And he that sat upon the throne said, Behold, I make all things new. 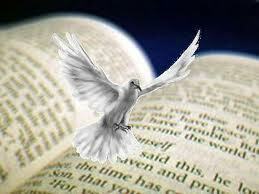 And he said unto me, Write: for these words are true and faithful.6 And he said unto me, It is done. I am Alpha and Omega, the beginning and the end. I will give unto him that is athirst of the fountain of the water of life freely. Rev. 7:17 For the Lamb which is in the midst of the throne shall feed them, and shall lead them unto living fountains of waters: and God shall wipe away all tears from their eyes. Jesus also said ”Joh. 7:38 He that believeth on me, as the scripture hath said, out of his belly shall flow rivers of living water”. Rev 22:12 And, behold, I come quickly; and my reward is with me, to give every man according as his work shall be.13 I am Alpha and Omega, the beginning and the end, the first and the last.—16 I Jesus have sent mine angel to testify unto you these things in the churches. I am the root and the offspring of David, and the bright and morning star. Jesus emphasizes his connection to King David, and that he is the particular bright morning star (also Rev. 22:16). Rev. 19:9 And he saith unto me, Write, Blessed are they which are called unto the marriage supper of the Lamb. And he saith unto me, These are the true sayings of God.10 And I fell at his feet to worship him. And he said unto me, See thou do it not: I am thy fellowservant, and of thy brethren that have the testimony of Jesus: worship God: for the testimony of Jesus is the spirit of prophecy. Acts. 10:25 And as Peter was coming in, Cornelius met him, and fell down at his feet, and worshipped him.26 But Peter took him up, saying, Stand up; I myself also am a man. John 9:36 He answered and said, Who is he, Lord, that I might believe on him?37 And Jesus said unto him, Thou hast both seen him, and it is he that talketh with thee.38 And he said, Lord, I believe. And he worshipped him. Mat. 28:16 Then the eleven disciples went away into Galilee, into a mountain where Jesus had appointed them.17 And when they saw him, they worshipped him: but some doubted. Jesus is often called the lamb, and a marriage supper with him is the highlight for all his children. When John proceeded to fall down to worship the angel (see Rev. 18:1), he immediately prevented him from doing it with the explanation that he is a fellowservant. A fellow servant should not be worshiped, but the angel also told John to worship GOD. As we know, Jesus constantly allowed himself to be worshiped (see examples above), which means that he must be God. Jesus had many chances to stop people from falling down to worship him (getting rid of any false ideas that he is God), but not once did he do this. Jesus is part of the trinity. Rev. 5:14 And the four beasts said, Amen. And the four and twenty elders fell down and worshipped him that liveth for ever and ever. 8 And when he had taken the book, the four beasts and four and twenty elders fell down before the Lamb, having every one of them harps, and golden vials full of odours, which are the prayers of saints.9 And they sung a new song, saying, Thou art worthy to take the book, and to open the seals thereof: for thou wast slain, and hast redeemed us to God by thy blood out of every kindred, and tongue, and people, and nation;—12 Saying with a loud voice, Worthy is the Lamb that was slain to receive power, and riches, and wisdom, and strength, and honour, and glory, and blessing.13 And every creature which is in heaven, and on the earth, and under the earth, and such as are in the sea, and all that are in them, heard I saying, Blessing, and honour, and glory, and power, be unto him that sitteth upon the throne, and unto the Lamb for ever and ever.14 And the four beasts said, Amen. And the four and twenty elders fell down and worshipped him that liveth for ever and ever. The lamb above was apparently slain among other things to get honor and glory. Glory, which Jahve does not share with anyone! We can read that everyone worshipped ”him” that liveth for ever and ever. We know that Jahve lives for ever and ever, and Jesus Christ is also constantly spoken about as the one living for ever and ever. Since both the Father and the son are members of the same unity and godhead, the pronoun ”him” still makes sense. John 1:1 In the beginning was the Word, and the Word was with God, and the Word was God. 2 The same was in the beginning with God. 3 ALL THINGS WERE MADE BY HIM; AND WITHOUT HIM WAS NOT ANYTHING MADE THAT WAS MADE.10 He was in the world, and the world was made by him, and the world knew him not.11 He came unto his own, and his own received him not.—14 And the Word was made flesh, and dwelt among us, (and we beheld his glory, the glory as of the only begotten of the Father,) full of grace and truth. John. 17:5 And now, O Father, glorify thou me with thine own self with the glory which I had with thee BEFORE THE WORLD WAS. Either the Bible does not mean what it says, or it is clear and Jesus Christ is the Messiah which the Scriptures talk about, which means that is he God in flesh. No wonder Satan tries to fool the world by twisting this important message. Glory is here translated from the Hebrew word kabowd (Strong’s 3519), and apart from ”glory” it can also be translated honor. God’s divine claim does not mean that man will never disobey it or give the glory worthy of a Creator to someone else, but from God’s perspective HE will not give his glory to someone else. We can read about the glory of the righteous, the glory of Lebanon, etc, but obviously Jahveh is in Is. 42:8 and 48:11 talking about a particular kind of glory that he will not share with anyone else, or else his claim would be meaningless. He emphasizes that he will not give his glory to anyone else, so obviously he is making a point. We can understand from the context that the glory that he does not share with anyone else is the glory that belongs to the Creator God – the Judge of all mankind. It is this type of glory that Moses could only see a glimpse of due to the magnificent power (Ex. 33:22). However, it is possible to behold the glory indirectly (or directly in another shape), like when Moses saw and spoke with Jahveh in a bush, and when Abraham was dining together with the Angel of the Lord. Isaiah 48:11 For mine own sake, even for mine own sake, will I do it: for how should my name be polluted? and I WILL NOT GIVE MY GLORY UNTO ANOTHER. 12 Hearken unto me, O Jacob and Israel, my called; I am he; I am the first, I also am the last.13 Mine hand also hath laid the foundation of the earth, and my right hand hath spanned the heavens: when I call unto them, they stand up together. Jesus Christ is given glory, power and majesty confirmed by the Father. If the below verses do not describe the glory that belongs to the most powerful being, I do not know what is. The person in focus is Jesus Christ, which indicates that he holds the same glorious position as his Father. Either Jahveh is not telling us the truth about not giving his glory to someone else, OR we can solve the inconsistency by accepting that Jesus belongs to the same godhead as his Father (the trinity). Matt 16:27 For the Son of man shall come in the glory of his Father with his angels; and then he shall reward every man according to his works. John 16:13 Howbeit when he, the Spirit of truth, is come, he will guide you into all truth: for he shall not speak of himself; but whatsoever he shall hear, that shall he speak: and he will shew you things to come.14 He shall glorify me: for he shall receive of mine, and shall shew it unto you.15 All things that the Father hath are mine: therefore said I, that he shall take of mine, and shall shew it unto you. John 17:1 These words spake Jesus, and lifted up his eyes to heaven, and said, Father, the hour is come; glorify thy Son, that thy Son also may glorify thee:2 As thou hast given him power over all flesh, that he should give eternal life to as many as thou hast given him.3 And this is life eternal, that they might know thee the only true God, and Jesus Christ, whom thou hast sent.4 I have glorified thee on the earth: I have finished the work which thou gavest me to do.5 And now, O Father, glorify thou me with thine own self with the glory which I had with thee before the world was. 2 Peter 1:16 For we have not followed cunningly devised fables, when we made known unto you the power and coming of our Lord Jesus Christ, but were eyewitnesses of his majesty. 17 For he received from God the Father honour and glory, when there came such a voice to him from the excellent glory, This is my beloved Son, in whom I am well pleased. Revelation 5:11 And I beheld, and I heard the voice of many angels round about the throne and the beasts and the elders: and the number of them was ten thousand times ten thousand, and thousands of thousands;12 Saying with a loud voice, Worthy is the Lamb that was slain to receive power, and riches, and wisdom, and strength, and honour, and glory, and blessing.13 And every creature which is in heaven, and on the earth, and under the earth, and such as are in the sea, and all that are in them, heard I saying, Blessing, and honour, and glory, and power, be unto him that sitteth upon the throne, and unto the Lamb for ever and ever.14 And the four beasts said, Amen. And the four and twenty elders fell down and worshipped him that liveth for ever and ever. Who is ”him that liveth for ever and ever” above? Based on for instance Rev. 1:18 it is the son of man Jesus Christ, the Almighty Alpha and Omega. This means that Jesus Christ must be God. Rev. 1:7 Behold, he cometh with clouds; and every eye shall see him, and they also which pierced him: and all kindreds of the earth shall wail because of him. Even so, Amen.8 I am Alpha and Omega, the beginning and the ending, saith the Lord, which is, and which was, and which is to come, the Almighty.—13 And in the midst of the seven candlesticks one like unto the Son of man, clothed with a garment down to the foot, and girt about the paps with a golden girdle.—17 And when I saw him, I fell at his feet as dead. And he laid his right hand upon me, saying unto me, Fear not; I am the first and the last:18 I am he that liveth, and was dead; and, behold, I am alive for evermore, Amen; and have the keys of hell and of death. John 12:34 The people answered him, We have heard out of the law that Christ abideth for ever:and how sayest thou, The Son of man must be lifted up? who is this Son of man? John quoting Isaiah – Jesus is given GLORY! Isaiah 6:1 In the year that king Uzziah died I saw also the Lord sitting upon a throne, high and lifted up, and his train filled the temple.2 Above it stood the seraphims: each one had six wings; with twain he covered his face, and with twain he covered his feet, and with twain he did fly.3 And one cried unto another, and said, Holy, holy, holy, is the Lord of hosts: the whole earth is full of his glory.––10 Make the heart of this people fat, and make their ears heavy, and shut their eyes; lest they see with their eyes, and hear with their ears, and understand with their heart, and convert, and be healed. Let us compare the section from Isaiah above with the below section from John where Jesus places a lot of focus on himself. All the ”me-me-me” would be completely blasphemous UNLESS of course Jesus truly is our glorious Savior and Creator. John 12:32 And I, if I be lifted up from the earth, will draw all men unto me.33 This he said, signifying what death he should die.34 The people answered him, We have heard out of the law that Christ abideth for ever: and how sayest thou, The Son of man must be lifted up? who is this Son of man?—37 But though he had done so many miracles before them, yet they believed not on him:38 That the saying of Esaias the prophet might be fulfilled, which he spake, Lord, who hath believed our report? and to whom hath the arm of the Lord been revealed?39 Therefore they could not believe, because that Esaias said again,40 He hath blinded their eyes, and hardened their heart; that they should not see with their eyes, nor understand with their heart, and be converted, and I should heal them.41 These things said Esaias, when he saw his GLORY, and spake of him.42 Nevertheless among the chief rulers also many believed on him; but because of the Pharisees they did not confess him, lest they should be put out of the synagogue:43 For they loved the praise of men more than the praise of God.44 Jesus cried and said, He that believeth on me, believeth not on me, but on him that sent me.45 And he that seeth me seeth him that sent me.46 I am come a light into the world, that whosoever believeth on me should not abide in darkness. Isaiah 46:5 I am the Lord, and there is none else, there is no God beside me: I girded thee, though thou hast not known me:6 That they may know from the rising of the sun, and from the west, that there is none beside me. I am the Lord, and there is none else.7 I form the light, and create darkness: I make peace, and create evil: I the Lord do all these things.8 Drop down, ye heavens, from above, and let the skies pour down righteousness: let the earth open, and let them bring forth salvation, and let righteousness spring up together; I the Lord have created it. Psalm 89:6 For who in the heaven can be compared unto the Lord? who among the sons of the mighty can be likened unto the Lord?7 God is greatly to be feared in the assembly of the saints, and to be had in reverence of all them that are about him.8 O Lord God of hosts, who is a strong Lord like unto thee? or to thy faithfulness round about thee?9 Thou rulest the raging of the sea: when the waves thereof arise, thou stillest them. Matt. 8:24 And, behold, there arose a great tempest in the sea, insomuch that the ship was covered with the waves: but he was asleep.25 And his disciples came to him, and awoke him, saying, Lord, save us: we perish.26 And he saith unto them, Why are ye fearful, O ye of little faith? Then he arose, and rebuked the winds and the sea; and there was a great calm. The ”sons of God” (angels) in Ps. 89:6 above are the ones who are around Jahveh in verse 7. This means that not even the angels around him can be compared to him. Then who is the Son that is the reflection of God’s glory and the exact representation of his very being? Hebr. 1:3 Who being the brightness of his glory, and the express image of his person, and upholding all things by the word of his power, when he had by himself purged our sins, sat down on the right hand of the Majesty on high:4 Being made so much better than the angels, as he hath by inheritance obtained a more excellent name than they.5 For unto which of the angels said he at any time, Thou art my Son, this day have I begotten thee? And again, I will be to him a Father, and he shall be to me a Son?6 And again, when he bringeth in the firstbegotten into the world, he saith, And let all the angels of God worship him. Every knee shall bow to God, or to Jesus? Or both? Is 66:18 For I know their works and their thoughts: it shall come, that I will gather all nations and tongues; and they shall come, and see my glory.19 And I will set a sign among them, and I will send those that escape of them unto the nations, to Tarshish, Pul, and Lud, that draw the bow, to Tubal, and Javan, to the isles afar off, that have not heard my fame, neither have seen my glory; and they shall declare my glory among the Gentiles. Based on the above, should we declare Jahveh’s glory among the gentiles or Jesus Christ’s glory among the gentiles? Or maybe there is no difference? Jesus is God in flesh! When we read about knees being bowed to someone, it is just about always in reference to worshiping (compare for instance 1 Kings. 19:18). Yet, we can read about knees being bowed for both Jahveh and Jesus Christ. Is. 45:23 we can read Jahveh saying ”unto me every knee shall bow, every tongue shall swear”, and yet we can read about Jesus Christ ”10 That at the name of Jesus every knee should bow, of things in heaven, and things in earth, and things under the earth;11 And that every tongue should confess that Jesus Christ is Lord, to the glory of God the Father”. Ps. 95:6 O come, let us worship and bow down: let us kneel before the Lord our maker. Is. 45:22 Look unto me, and be ye saved, all the ends of the earth: for I am God, and there is none else.23 I have sworn by myself, the word is gone out of my mouth in righteousness, and shall not return, That unto me every knee shall bow, every tongue shall swear. Phil. 2:5 Let this mind be in you, which was also in Christ Jesus:6 Who, being in the form of God, thought it not robbery to be equal with God:7 But made himself of no reputation, and took upon him the form of a servant, and was made in the likeness of men:8 And being found in fashion as a man, he humbled himself, and became obedient unto death, even the death of the cross.9 Wherefore God also hath highly exalted him, and given him a name which is above every name:10 That at the name of Jesus every knee should bow, of things in heaven, and things in earth, and things under the earth;11 And that every tongue should confess that Jesus Christ is Lord, to the glory of God the Father. Rom. 14:9 For to this end Christ both died, and rose, and revived, that he might be Lord both of the dead and living.10 But why dost thou judge thy brother? or why dost thou set at nought thy brother? for we shall all stand before the judgment seat of Christ.11 For it is written, As I live, saith the Lord, every knee shall bow to me, and every tongue shall confess to God.12 So then every one of us shall give account of himself to God. Col. 1:13 Who hath delivered us from the power of darkness, and hath translated us into the kingdom of his dear Son:—16 For by Him all things were created, both in the heavens and on earth, visible and invisible, whether thrones or dominions or rulers or authorities—all things have been created through Him and for Him.17 He is before all things, and in Him all things hold together. Did Jahveh forget that Jesus Christ was with him during the creation? Of course not. God is one, and the godhead can say that he was alone. Either the trinity is valid, or the Bible is contradictory. Read more in this article about worshiping Jesus as God. Jesus Christ is part of the godhead (the trinity) which means that the Biblical claims above pose no problem. The son of God decided to be born as man on earth and die for all mankind as God in flesh. For a brief time Jesus was made lower than the angels – the same angels who would later worship him as God according to Heb. 1. We can read in Heb. 2 that Jesus was made ”a little lower than the angels”, and in the previous chapter we can read that he was ”so much better than the angels” and that he ”obtained a much excellent name than they”. This is not a contradiction since Jesus is also fully capable of placing himself in a free will temporary subjection to his own Father, with whom he shared the glory from eternity past (John 17:5). Heb. 2:5 For unto the angels hath he not put in subjection the world to come, whereof we speak.6 But one in a certain place testified, saying, What is man, that thou art mindful of him? or the son of man that thou visitest him?7 Thou madest him a little lower than the angels; thou crownedst him with glory and honour, and didst set him over the works of thy hands:8 Thou hast put all things in subjection under his feet. For in that he put all in subjection under him, he left nothing that is not put under him. But now we see not yet all things put under him.9 But we see Jesus, WHO WAS MADE A LITTLE LOWER THAN THE ANGELS for the suffering of death, crowned with glory and honour; that he by the grace of God should taste death for every man. Heb. 1:3 Who being the brightness of his glory, and the express image of his person, and upholding all things by the word of his power, when he had by himself purged our sins, sat down on the right hand of the Majesty on high:4 Being made SO MUCH BETTER THAN THE ANGELS, as he hath by inheritance obtained a more excellent name than they.5 For unto which of the angels said he at any time, Thou art my Son, this day have I begotten thee? And again, I will be to him a Father, and he shall be to me a Son?6 And again, when he bringeth in the firstbegotten into the world, he saith, And LET ALL THE ANGELS OF GOD WORSHIP HIM.7 And of the angels he saith, Who maketh his angels spirits, and his ministers a flame of fire.8 But unto the Son he saith, Thy throne, O God, is for ever and ever: a sceptre of righteousness is the sceptre of thy kingdom. Phil. 2:6 Who, being in the form of God, thought it not robbery to be equal with God:7 But made himself of no reputation, and took upon him the form of a servant, and was made in the likeness of men:8 And being found in fashion as a man, he humbled himself, and became obedient unto death, even the death of the cross.9 Wherefore God also hath highly exalted him, and given him a name which is above every name:10 That at the name of Jesus every knee should bow, of things in heaven, and things in earth, and things under the earth;11 And that every tongue should confess that Jesus Christ is Lord, to the glory of God the Father. The Old Testament contains numerous prophesies about the Messiah – Jesus Christ. He is also called the chief corner-stone, and that is a stone which is considered to be the most important part of a stone building since it is carrying the weight of the stones built on top of it while there are no stones UNDER it. Since Jesus Christ is the foundation of our salvation, it is important that we spread this information to the rest of the world to encourage people to seek the true Savior and thus be saved. People might be convinced of that they are on the right path to eternal salvation, but if they are not choosing to build their lives on the corner-stone, they are still off track. 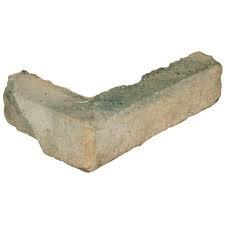 It is vital to identify this corner-stone. God does not share his glory with anyone, but shares it with Jesus. This means that Jesus must be God. Is. 48:11 For mine own sake, even for mine own sake, will I do it: for how should my name be polluted? and I will not give my glory unto another. Isa. 28:2 Behold, the Lord hath a mighty and strong one, which as a tempest of hail and a destroying storm, as a flood of mighty waters overflowing, shall cast down to the earth with the hand.—16 Therefore thus saith the Lord God, Behold, I lay in Zion for a foundation a stone, a tried stone, a precious corner stone, a sure foundation: he that believeth shall not make haste.17 Judgment also will I lay to the line, and righteousness to the plummet: and the hail shall sweep away the refuge of lies, and the waters shall overflow the hiding place.18 And your covenant with death shall be disannulled, and your agreement with hell shall not stand; when the overflowing scourge shall pass through, then ye shall be trodden down by it. Unfortunately people are refusing to accept this head stone of the corner despite that it is the most important building block! We can see this statement in Ps. 118:20, and we can also read about the gate of the Lord and ”Blessed be he that cometh in the name of the Lord”, which is quoted in Matt. 21 – when Jesus entered Jerusalem and people were cheering their Hosianna. Ps. 118:15 The voice of rejoicing and salvation is in the tabernacles of the righteous: the right hand of the Lord doeth valiantly.16 The right hand of the Lord is exalted: the right hand of the Lord doeth valiantly.”—20 This gate of the Lord, into which the righteous shall enter.21 I will praise thee: for thou hast heard me, and art become my salvation.22 The stone which the builders refused is become the head stone of the corner.—26 Blessed be he that cometh in the name of the Lord: we have blessed you out of the house of the Lord.27 God is the Lord, which hath shewed us light: bind the sacrifice with cords, even unto the horns of the altar. Jesus confirms that he is the stone that the scriptures speak about (read the above psalm) and whosoever falls on it shall be broken. Matthew 21:8 And a very great multitude spread their garments in the way; others cut down branches from the trees, and strawed them in the way.9 And the multitudes that went before, and that followed, cried, saying, Hosanna to the son of David: Blessed is he that cometh in the name of the Lord; Hosanna in the highest.10 And when he was come into Jerusalem, all the city was moved, saying, Who is this?11 And the multitude said, This is Jesus the prophet of Nazareth of Galilee.—42 Jesus saith unto them, Did ye never read in the scriptures, The stone which the builders rejected, the same is become the head of the corner: this is the Lord’s doing, and it is marvellous in our eyes?43 Therefore say I unto you, The kingdom of God shall be taken from you, and given to a nation bringing forth the fruits thereof.44 And whosoever shall fall on this stone (lithos, Strong’s 3037) shall be broken: but on whomsoever it shall fall, it will grind him to powder.45 And when the chief priests and Pharisees had heard his parables, they perceived that he spake of them.46 But when they sought to lay hands on him, they feared the multitude, because they took him for a prophet. Luke 13:32 And he said unto them, Go ye, and tell that fox, Behold, I cast out devils, and I do cures to day and to morrow, and the third day I shall be perfected.33 Nevertheless I must walk to day, and to morrow, and the day following: for it cannot be that a prophet perish out of Jerusalem.34 O Jerusalem, Jerusalem, which killest the prophets, and stonest them that are sent unto thee; how often would I have gathered thy children together, as a hen doth gather her brood under her wings, and ye would not!35 Behold, your house is left unto you desolate: and verily I say unto you, Ye shall not see me, until the time come when ye shall say, Blessed is he that cometh in the name of the Lord. Jesus Christ is the stone, the head of the corner-stone…There is no salvation in anyone else. Acts 4:10 Be it known unto you all, and to all the people of Israel, that by the name of Jesus Christ of Nazareth, whom ye crucified, whom God raised from the dead, even by him doth this man stand here before you whole.11 This is the stone (lithos, Strong’s 3037) which was set at nought of you builders, which is become the head of the corner.12 Neither is there salvation in any other: for there is none other name under heaven given among men, whereby we must be saved. ”Chief corner-stone” in the New Testament is a translation from the Greek word akrogōniaios (Strong’s 204) and this word can be found in Eph. 2:20 and 1 Pet 2:6. Eph. 2:18 For through him we both have access by one Spirit unto the Father.19 Now therefore ye are no more strangers and foreigners, but fellowcitizens with the saints, and of the household of God;20 And are built upon the foundation of the apostles and prophets, Jesus Christ himself being the chief corner stone;21 In whom all the building fitly framed together groweth unto an holy temple in the Lord:22 In whom ye also are builded together for an habitation of God through the Spirit. 1 Peter 2:4 To whom coming, as unto a living stone, disallowed indeed of men, but chosen of God, and precious,5 Ye also, as lively stones, are built up a spiritual house, an holy priesthood, to offer up spiritual sacrifices, acceptable to God by Jesus Christ.6 Wherefore also it is contained in the scripture, Behold, I lay in Sion a chief corner stone, elect, precious: and he that believeth on him shall not be confounded.7 Unto you therefore which believe he is precious: but unto them which be disobedient, the stone which the builders disallowed, the same is made the head of the corner,8 And a stone (lithos, Strong’s 3037) of stumbling, and a rock of offence, even to them which stumble at the word, being disobedient: whereunto also they were appointed. You can also read about Jesus Christ being the ROCK in this article.